The center of excellence for china Pakistan economic corridor is a joint initiative of Pakistan institute of development economics PIDE and ministry of planning, development and reform MOPDR Islamabad. COE CPEC is leading policy guiding think tank for effective implementation of CPEC portfolio. Applications are invited in the following vacancies. The master degree holders in a specific field can submit job application form within 15 days from today date 15 July 2018. 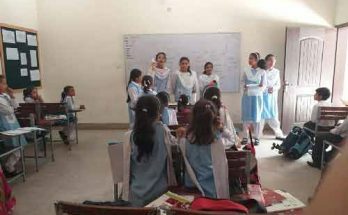 The detailed TORS are available on www.cpec-centre.pk and www.pide.org.pk applications on prescribed forms should reach the office as early as possible. 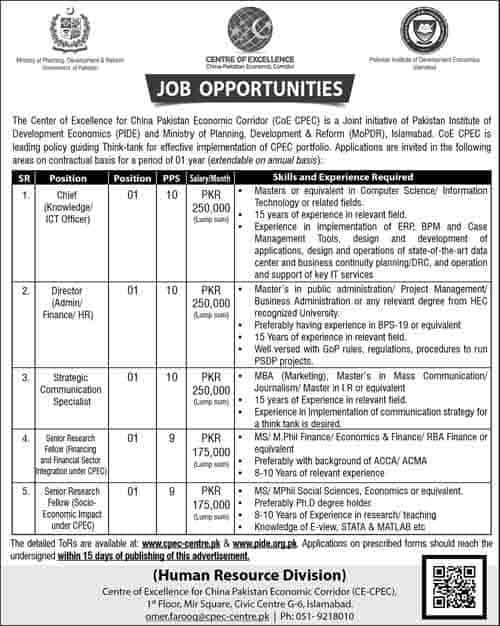 Centre of excellence for china Pakistan economic corridor 1st floor Mr. Square Civic Centre G-6, Islamabad.